Phorm makes a literal copy of your web pages in transmission, without a licence, and create an adaptation ('a user profile'). 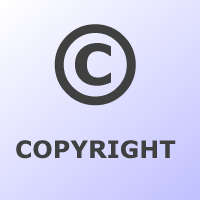 Under the UK Copyright Designs and Patents Act 1988 a copyright owner has the exclusive right to copy a creative work, and create adaptations. Where unlicenced copies are made, you may invoice Phorming ISPs for substantial royalty payments. And you set the price, not ISPs. You should expect considerable compensation, according to the value of your work, and the disregard shown for your rights by Phorm. Place the text below on your pages, as a visible piece of text, or a comment within your HTML. Nicholas Bohm of the Foundation for Information Policy Research, and Joel Harrison an associate at Milbank, Tweed, Hadley & McCloy LLP have published a paper on Copyright law and Phorm. In the USA, though registration is not required, copyright registration can significantly simplify the process of recovering damages. You should obtain Certificate of Registration from the Copyright Office. Once registered, Copyright infringement can incur statutory damages of $30,000 per infringing item, or up to $150,000 if wilful infringement can be proved. For more info see here. HTML codes for the copyright symbol are &copy; , or &#0169; . By intercepting your communications, and redirecting your visitors to their own web servers, ISPs using Phorm are likely to infringe registered trademark rights. The UK Trademark Act 1994 gives the owner of a registered trademark the exclusive right to use that trademark in the course of business. For completeness you should consider registering as trademarks variations such as '.com' and '.co.uk' domain registrations. Infringing a registered trademark is then a criminal offence. 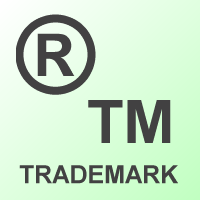 Common Law Tort (civil wrong) of 'passing off', also applies to unregistered trademarks. The law of passing off prevents one person from misrepresenting his or her goods or services as being the goods and services of the claimant. HTML code for the symbol indicating a registered trademark are &reg;. HTML code for the symbol indicating unregistered trademarks &trade; , or simplistically <sup>TM</sup>.